Gestational diabetes mellitus (GDM) appears to be on the rise in the US, with the CDC suggesting that the prevalence of GDM may be as high as 9.2% (http://www.cdc.gov/pcd/issues/2014/13_0415.htm). The disease is defined as the onset of impaired glucose intolerance during pregnancy as diagnosed from a glucose screening test (also called a glucose challenge test or GCT) between 24 and 28 weeks of pregnancy. Pregnant women who develop GDM are at a higher risk complications during pregnancy and delivery, and the fetus may develop macrosomia, neonatal hypoglycemia, In addition, women who develop GDM have a greater than 7-fold increased risk of developing type 2 diabetes later in life. There’s some suggestion that babies born to mothers with GDM have a greater risk of developing impaired glucose tolerance. What impact may exercise during pregnancy have on the development of this disease? There’s been an increase in the number of studies that have looked at the impact of prenatal exercise on the development of GDM, as well as how exercise may help with the treatment in women who have it. Recent data suggests that exercise during pregnancy may positively impact the development and treatment of GDM, but the results are somewhat mixed, and may be due to the quality of the studies and type, intensity and duration of the fitness programs. 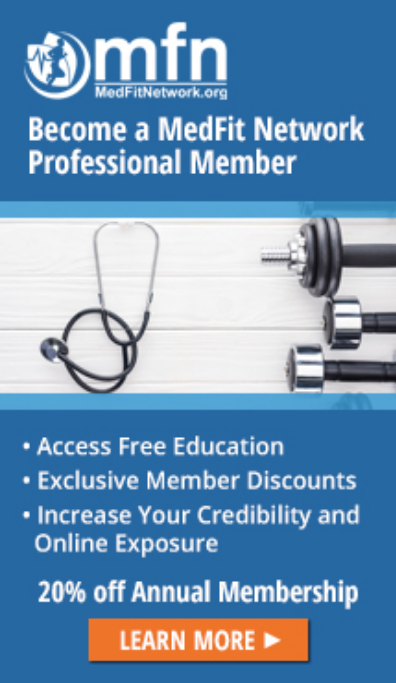 A Cochrane Review (considered a key resource in evidence-based medicine) reviewed randomized and cluster-randomized trials assessing the effects of exercise for preventing pregnancy glucose intolerance or GDM and found that conclusive evidence is not available to guide practice (Cochrane Database Syst Rev. 2012 Jul 11;7:CD009021.). They suggest that more well-designed randomized trials, with standardized behavioral interventions are needed to assess the effects of exercise on preventing GDM and other adverse pregnancy. Other studies (Med Sci Sports Exerc.2014 Oct 20., Br J Sports Med. 2013 Jul;47(10):630-6.) have concluded that exercise does reduce the incidence of GDM, and may play a role in the development of type 2 diabetes in women who had GDM (Best Pract Res Clin Obstet Gynaecol. 2015 Jan;29(1):110-22.). The bottom line? The inclusion of an exercise program during pregnancy may be a positive step towards reducing the incidence of GDM, but we still don’t know what exercise threshold is needed to maintain or improve glucose tolerance. A reasonable prescription would be to set intensity levels at a moderate to somewhat hard level on the Borg scale (not so high that the woman is out of breath or feels discomfort) and allows her to maintain a duration of at least 30 minutes, 5-6 days a week. I suspect that maintaining a higher frequency (near 6 days a week) may play a greater role in maintaining normal daily glucose tolerance, so the exercise intensity should be modified to enable her to maintain >30 minutes of exercise at least 5 days a week. 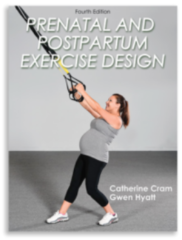 The type of exercise should be one that is comfortable and easily modified throughout pregnancy, and if possible be weight bearing. Do you have any experiences working with GDM? Feel free to post your comments and questions. Fetal Macrosomia: Fetal macrosomia is a term used to describe a newborn who’s significantly larger than average.A baby diagnosed with fetal macrosomia has a birth weight of more than 8 pounds, 13 ounces (4,000 grams), regardless of his or her gestational age. Fetal macrosomia makes vaginal delivery difficult and puts the baby at risk of injury during birth and increased risk of health problems after birth. Neonatal hypoglycemia: Neonatal hypoglycemia, defined as a plasma glucose level of less than 30 mg/dL (1.65 mmol/L) in the first 24 hours of life and less than 45 mg/dL (2.5 mmol/L). Gestational diabetes mellitus (GDM): A disorder characterized by an impaired ability to metabolize carbohydrates, usually caused by a deficiency of insulin or insulin resistance, occurring in pregnancy. It disappears after delivery of the infant but, in a significant number of cases, returns years later as type 2 diabetes mellitus. Treatment consists of self-monitoring of blood glucose, insulin administration, increased activity, and a meal plan that controls the amount of carbohydrates eaten. Impaired glucose tolerance: Impaired glucose tolerance (IGT) is a pre-diabetic state of hyperglycemia that is associated with insulin resistance and increased risk of cardiovascular pathology. IGT may precede type 2 diabetes mellitus by many years. Cochrane Reviews: A database of systematic reviews and meta-analyses which summarize and interpret the results of medical research. The Cochrane Library aims to make the results of well-conducted controlled trials readily available and is a key resource in evidence-based medicine.